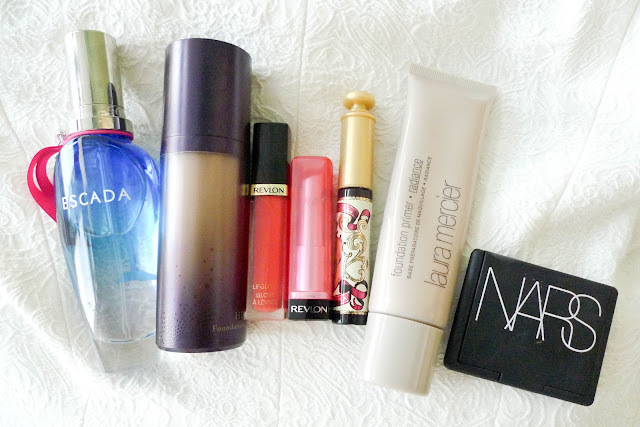 Today is another day of totally not in the mood to put together a lengthy review on a certain product, lets just briefly talk about what I have been loving lately. 7 items - some oldies, some new stuff, not a whole long of list. Keeping it short and simple. 1 | Escada Island KissIt contains Orange, Passion Flower, Mango, Magnolia, Sunny Accord, White Peach, Hibiscus, Blond Woods, Musky Notes, Red Fruits... the list goes on. As you can imagine, Escada Island Kiss is of one of the sweetest perfume you could possibly imagine in a light and delightful way. It was also the very 1st perfume I owned ever since high school. Though I prefer the old packaging, I always keep a bottle of this to use during summer days and nights. A proper review will come after. Finally have time to give this foundation a go after receiving it for quite some time now, I adore the jelly consistency of this foundation. Easy to blend, medium yet buildable coverage for a dewy finish. It is also quite good at keeping the oil under control. 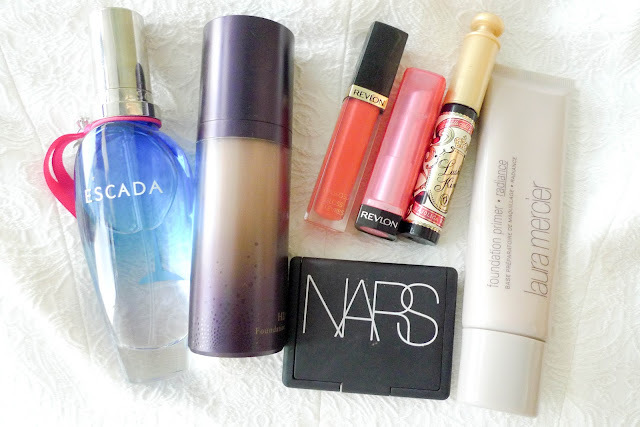 Featured in both Cathy cookieyuri's Monthly Favourite video HERE and Rae raeviewer's HG Top 5 Liquid Foundation video HERE. 3 | Revlon Super Lustrous Lipgloss in Coral Reef (left) What is better to put on some coral lipgloss on a beachy breezy kind of day? The coral color matches a lot of the brighter tone of colors I wear during this time of year and instantly brightens up my complexion. The jelly consistency plumps up the lips too. 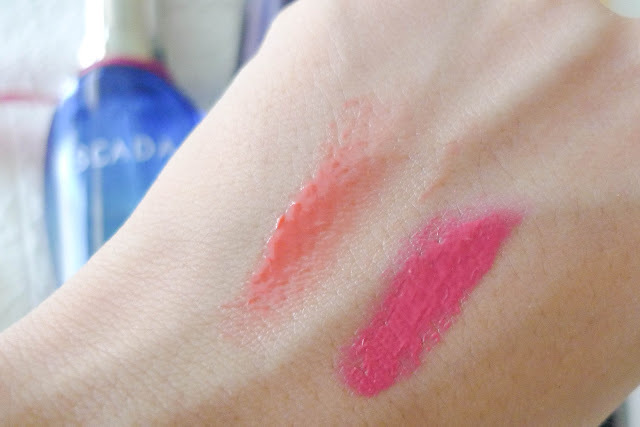 4 | Revlon Colorburst Lip Butter in Sweet Tart (right）There are several ways to use this lippie. With a full application, it provides full opacity like the OCC Lip Tar, or MAC Pro Longwear Lip Creme. It however, of which is also the way I perfer during the day time, can also be applied alternatively with a light hand to blend the color with the lightest amount. It almost makes my lips nylon. A proper review has to come later. 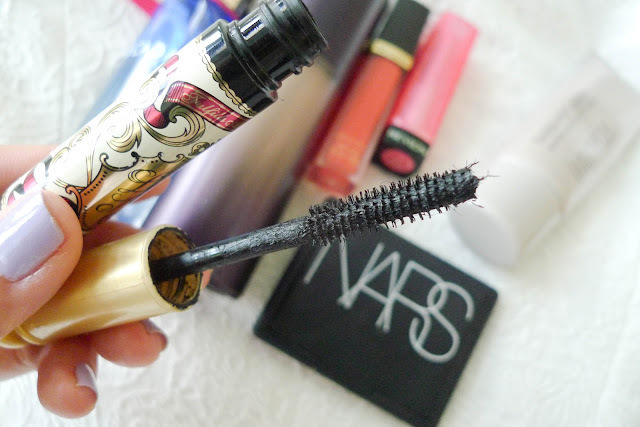 This is of one of the most fiber-licious mascaras in the Majorlica Majorca line. It volumizes the lashes like crazy and is waterproof! One thing to keep in mind is that since it puts on so much volume of fiber to the lashes, it holds off better to build a light curled base first then to build up the volume using this mascara. 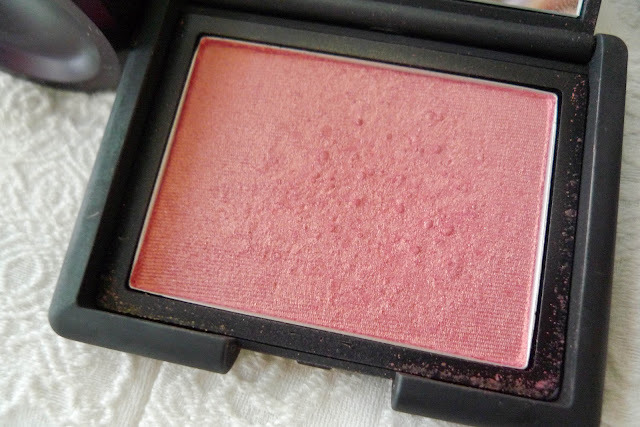 Yes you already know, full review HERE, one of my favourite blushes of all time. The peachy pink tone instantly brightens up the complexion and gives the skin a nice glow. Personally not huge fan of Laura Mercier tinted moisturizer (anymore) or foundation primer, not sure the reason why I was drawn again to this primer. 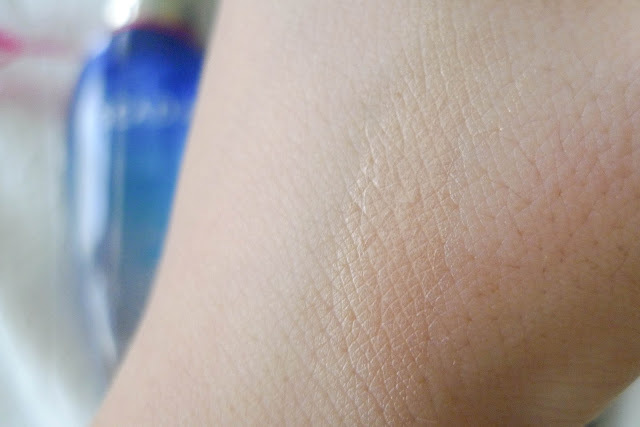 I just love the sheen when I swatched it at a Sephora and decided to give their base makeup another go. It turns out that I love it so much. I would not wear this primer alone because it will make me look like a reflective disco ball. You don't really see the sheen under any foundation or bb cream, whereas it gives a healthy sheen and makes the makeup last so much longer.